Some newer Jazz fans may not think that traditional Jazz has much to offer these days. How wrong they are. 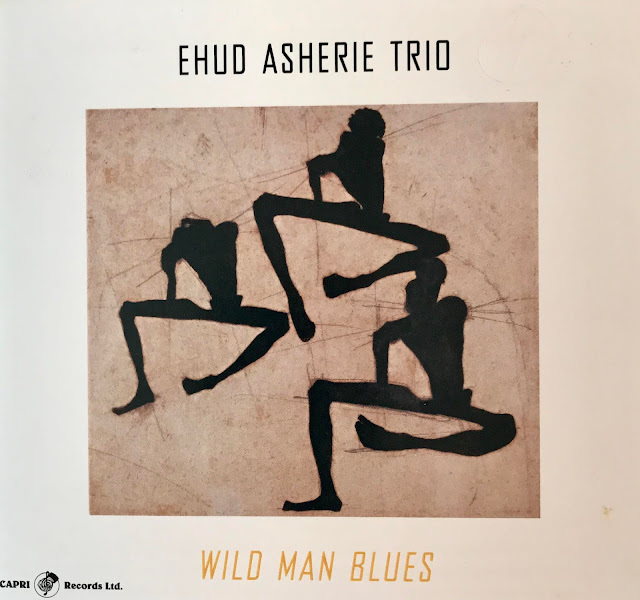 I just finished listening to the "Wild Man Blues" by The Ehud Asherie Trio that I would described as terrific, new and fresh traditional Jazz! Pianist Ehud Asherie has put together an outstanding mixture of early New Orleans Jazz, Swing, Bebop, and songs from the Great American Songbook, as well as a deep passion for the music of Brazil. Ehud Asherie is a talented Pianist and Arranger who integrates the venerable New York piano tradition from Fats Waller and James P Johnson to Bud Powell and Thelonious Monk into his own inventive style. Ehud has done a master job of arranging songs that were made famous by horn players like New Orleans Trumpeter Red Allen ("Wild Man Blues") and Charlie Parker's ("Parker's Mood") into seamlessly wonderful Jazz Piano Trio pieces. The outstanding rhythm team of Bassist Peter Washington and Drummer Rodney Green provide Ehud with the perfect support behind his creative playing. In my opinion, this is one of the best Piano Trios recording today! They create new life into some old but great classic standards and, yet, still retain the original structure of the tunes. This CD touches all aspects that make a Jazz Piano Trio great. If you love to listen to Jazz Piano Trio music, this CD will be for you. If you are not that familiar with the joy of the music from a Jazz Piano Trio, you will be after listening to The Ehud Asherie Trio. 3. "Flying Down To Rio"
6. "Na Baixa Do Sapateiro"
7. "Oh, Lady Be Good"
8. "And The She Stopped"
I have attached a "YouTube" of The Ehud Asherie Trio playing Louis Armstrong's "Wild Man Blues". It really swings with a relaxed comfortable feel. The first time I heard Joel Fleisher sing, I knew he had something special. There are many singers performing today who like to call themselves Jazz singers, but sadly most of them fall short of the definition of Jazz singer. Joel has a wonderful feel for the lyrics of the songs from the "Great American Songbook" and is able to put his own special touch on these "Evergreens" that bring them back to life with new spirit. Joel's speciality is performing songs everyone knows and loves by adding his own arrangement of notes that still retain the spirit of the melody but at the same time gives them a new and fresh life. He does this in the true spirit of Jazz singing by simply not singing melody and lyric exactly as written by the composer. And the results are wonderful! 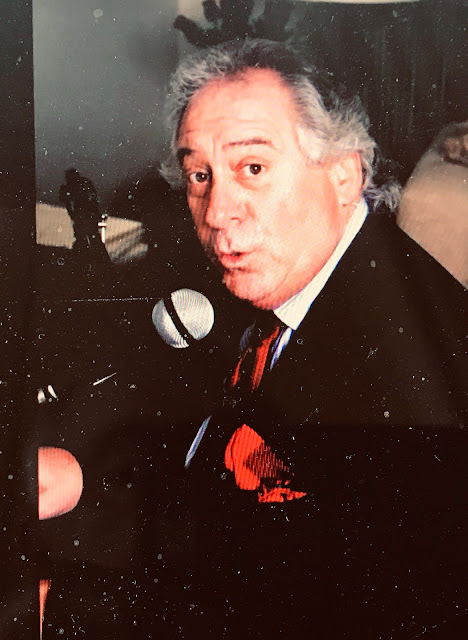 Joel has been singing for most of his life, and he studied both Classical and Jazz at Monterey Peninsula College before moving to San Francisco where he continued his studies at San Francisco State University. Joel has made his living as a teacher but as soon as he retired, he rediscovered his vocation in singing Jazz and has been performing in various Jazz venues throughout California. I have enjoyed his singing performances I attended in the Coachella Valley area for the past few years. I love the way Joel takes chances with Vocal changes and emotions with every song he sings. I have attached a "YouTube" of Joel Fleisher singing "East of the Moon" for your listening enjoyment! 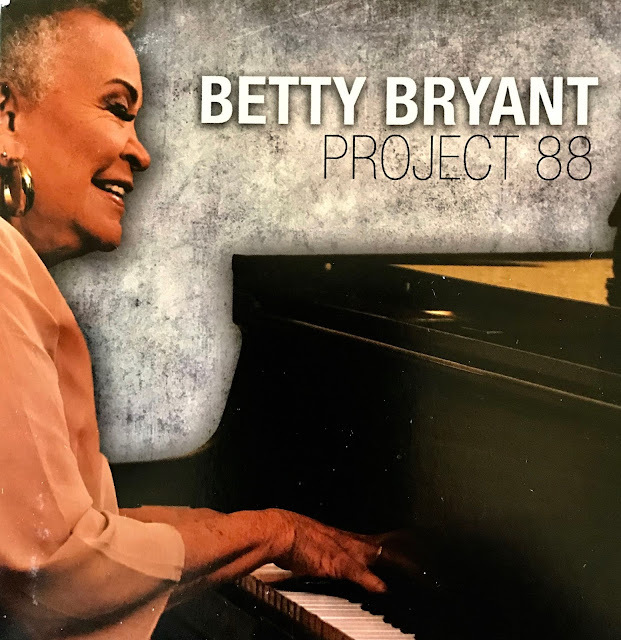 CD Review: Betty Bryant " Project 88"
Pianist, Vocalist and Composer Betty Bryant has just released her ninth CD entitled "Project 88". The title is a double entendre, since the Piano has 88 keys and Betty Bryant turned 88 a year ago. Betty Bryant is a child of the Depression and her voice and soul still carry the experiences she learned growing up during this difficult period. The quality of Bryant's voice and phrasing are perfect for the 10 beautiful tunes she picked for her CD. Bryant plays and sings with various configurations of musicians and she excels in each one of them. "Project 88" was produced by Bryant's close friend the fabulous Tenor Sax and Flutist, Robert Kyle. Working closely with Bryant these two experienced and skilled musicians have produced a warm and wonderful CD that feels so right. The music is like comfort food for your body and soul. For those of you that are in the LA area, Betty Bryant performs regularly in local Jazz clubs so don't miss a chance to see her in person. She has performed internationally and spent 13 years shuttling back and forth to Tokyo for a regular gig. She has also performed in Brazil, Panama and the Middle East. Even at the age of 88, Bryant still keeps a busy schedule. Lucky for all Jazz lovers because she continues to be impressive with her singing and playing including her approach to Lyrics. Bryant composed 5 of the 10 songs on the CD and the remaining 5 songs are beautiful standards that become new again with Bryant's touch. 1. "Love, Came and Went"
2. "Oh, Lady Be Good"
4. "Just You, Just Me"
8. "They Say It's Wonderful"
10. "It's Hard To Say Goodbye"
I have attached a couple of "YouTubes" with songs from this CD. The first is a song written by Betty Bryant called "Love Came and Went" that swings with a big band feel. The second song has long been one of Betty's favorites, "Ain't Nobody's Business". This Jazz classic has been recorded by many Jazz giants including her favorite, Jimmy Witherspoon and Betty Bryant adds her own style to it.